I had read something to do with electromagnetic interference from LED bulbs in one of the radio magazines but had not given it too much thought. I am in the process of setting up my station and will operate primarily from 144 MHz up, at least initially. My radio room is upstairs in our small house. I do not have equipment for measuring radio noise. One generally accepts what we have and without specialist gear it is hard to know what the noise floor is on any particular rig. However, the other evening, while I was listening in my vertical collinear with my FT290R in SSB mode, my wife switched on the bathroom lights, and immediately the hiss or hash increased, which would have drowned out a weak signal had I been listening to one. The bathroom lighting consists of two LED spotlight bulbs. Further experimentation has caused me to realise that there is also an issue with the LED bulb in the radio room. Naturally I have looked at what alternative might be available. Currently we can still buy halogen bulbs in the UK, but according to the local shop sales person and as apparently confirmed elsewhere, from September 2018 we will not be able to obtain other types than LED. 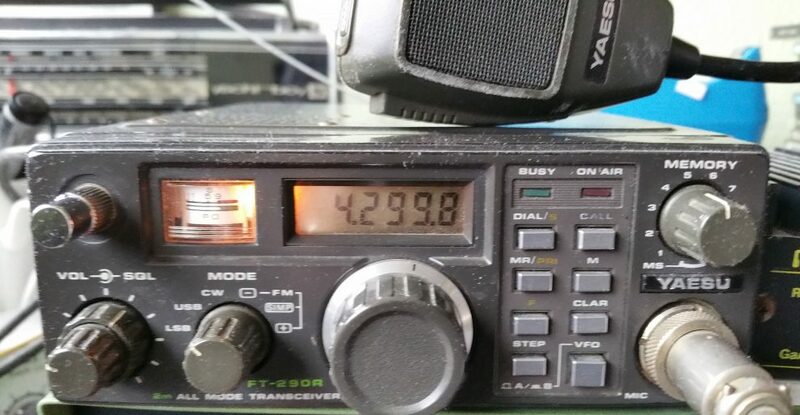 My local issue seems mainly to affect 144 MHz with little noticeable interference at 432 MHz, and although I have not looked at every amateur band, in my case there is not any perceivable hash as low as 3.5 MHz, but of course there my noise level is typically S7 anyway. More on this issue can be found here and it is well worth watching the video by DL9KCE who shows that even a bulb made by a well-known European manufacturer causes a problem at 144 MHz. We need to launch a campaign although it seems we may be overwhelmed by an inexorable tide to LEDs. What will become of 2 metres weak signal work in an urban environment? This entry was posted in Amateur radio and tagged 144MHz, 2 metres, EMC, LED, light bulbs, lighting. Bookmark the permalink. LED’s – the only thing I can think of is the bridge rectifier being noisy. I’ve dissected an LED bulb and it’s nothing but a rectifier, and then a bunch of little 20ma LED’s.